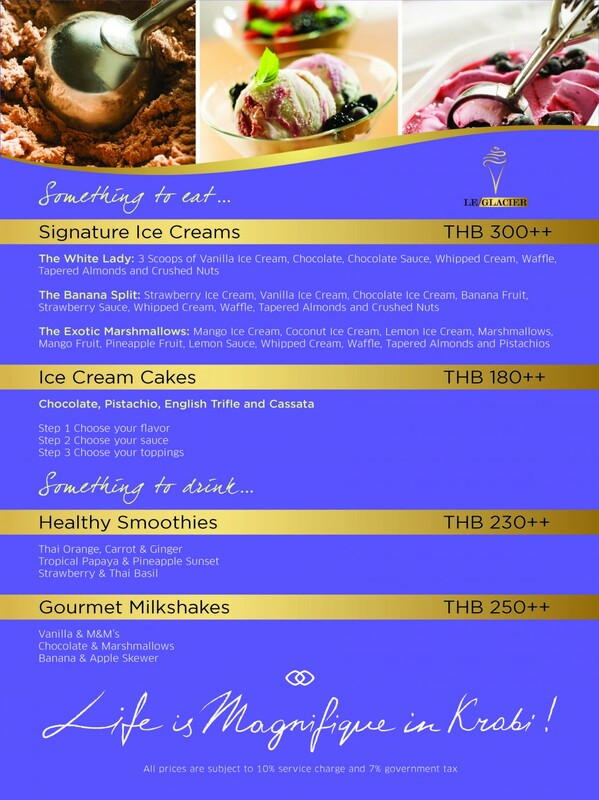 Le Glacier is the newest addition to Sofitel Krabi. As they say….“You can’t buy happiness, but you can buy ice cream and it is kind of the same thing!”. Le Glacier has a dozen different ice creams to choose from, as well as smoothies, milkshakes, cakes and other treats. Making people happy every day from 11 a.m. until 11 p.m.